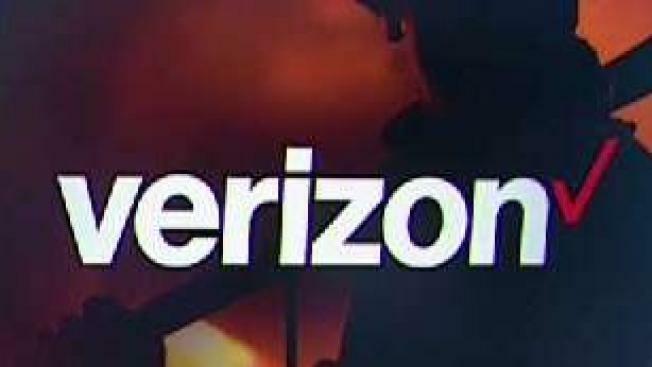 Verizon is responding to claims by the Santa Clara County Fire Department chief that it throttled the internet connection of an emergency vehicle as firefighters fought the Mendocino Complex Fire, the largest wildfire ever recorded in California history. Scott Budman reports. Verizon is responding to claims by the Santa Clara County Fire Department chief that it throttled the internet connection of an emergency vehicle as firefighters fought the Mendocino Complex Fire, the largest wildfire ever recorded in California history. "This throttling has had a significant impact on our ability to provide emergency services," Santa Clara County Fire Department Chief Anthony Bowden wrote in his declaration. "Verizon imposed these limitations despite being informed that throttling was actively impeding County Fire’s ability to provide crisis-response and essential emergency services." In a brief filed earlier this week in federal court, the chief alleges that Verizon slowed his department's data plan down to one-two hundredth of the normal speed, making it nearly impossible for firefighters battling the Mendocino Complex to communicate using platforms such as Google Docs, which they rely on to provide each other with live updates during the fight against the fire. Even though the fire department has unlimited data, Verizon allegedly slowed the speeds once the firefighters went over a certain amount. Bowden provided emails that show Verizon offered to restore normal data service if the department would agree to a $99 per month plan, which is three times the amount of its current plan. Verizon allegedly throttled the internet connection of an emergency vehicle as firefighters fought the Mendocino Complex Fire, the largest wildfire ever recorded in California history, according to the Santa Clara County Fire Department chief. Bob Redell reports. In a statement, Verizon admits it made a mistake in its communication with the fire department. "Regardless of the plan emergency responders choose, we have a practice to remove data speed restrictions when contacted in emergency situations ... In this situation, we should have lifted the speed restriction when our customer reached out to us. This was a customer support mistake. We are reviewing the situation and will fix any issues going forward," the statement read. The County of Santa Clara, along with 22 states and the California Public Utilities Commission, filed its brief Monday supporting net neutrality in the ongoing litigation to protect an open internet. Verizon stated that "this situation has nothing to do with net neutrality or the current proceeding in court." On the other hand, Santa Clara County Counsel James R. Williams stated, "Verizon’s throttling has everything to do with net neutrality — it shows that the ISPs will act in their economic interests, even at the expense of public safety. That is exactly what the Trump Administration’s repeal of Net Neutrality allows and encourages." But California has plans for its own net neutrality laws. Bill SB-822, led by Sen. Scott Wiener of San Francisco, will require an equal playing field on the internet. The final hearing of the bill was heard Wednesday with the Assembly Communications and Conveyance Committee before it goes to the full Assembly for a vote. A representative for Verizon was in attendance and voiced the company's opposition to the bill. Sprint, AT&T, T-Mobile and Comcast were also among other giant companies who sent representatives to voice their opposition. A Verizon representative at the SB-822 hearing reiterates the throttling had nothing to do with net neutrality because the content had nothing to do with slowing down of data, but that it was an error of a customer representative. "I do think that it was evidence, once again, on how critically important internet access is to everything, including public safety. Whatever the reason was for the throttling, it creates problem in terms of slowing down," Wiener said at the hearing. Disclaimer: Comcast owns NBCUniversal, the parent company of NBC News, MSNBC, and this station.